Each child will develop a disposition for lifelong learning. Each child will be empowered to construct knowledge about his/her world. 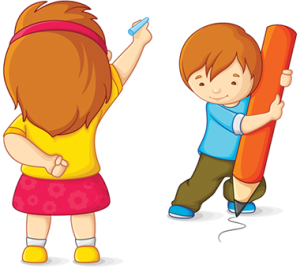 Each child will develop the ability to solve problems individually and as a member of a group. Each child will develop self-esteem by meeting appropriate challenges. Each child will develop positive, collaborative relationships with their families and with the adults and children at Harris Family Daycare. Each child will represent his/her thoughts and feelings with a wide variety of mediums. Each child will attain the highest level of independence that is appropriate for his/her age. Each child will value the diversity of people in the world. Families will be active participants in their child’s care and education. Families will develop collaborative relationships with their child and their child’s caregivers. Families will be able to leave their child at Harris Family Daycare with the knowledge that their child’s developmental needs are being met in a caring,nurturing environment. Families will have the opportunity to gain knowledge about child development and parenting. Families will have the opportunity to meet and develop relationships with other families.